Jaydeep Steels is your ultimate supplier and exporter of Brass Sheets & Plates that have exhibited excellent properties like corrosion resistance, durability, strength, light-weight, etc. They are used in fields like construction, plumbing, automobile, rail tracks, etc. Brass has a gold-like appearance and is formed by alloying copper and zinc, in varying quantities according to the mechanical and electrical requirement. Brass Hot Rolled Sheets Plates are passing the heated brass cakes under a series of opposing steel rollers to reduce their thickness and increase their width, and finally passing it through a milling machine called the scalper. Brass Cold Rolled Sheets & Plates have advantages like superior finish or appearance, easy malleable nature, high tensile strength, dent resistant, etc. These are created by a process called annealing where the temperature is kept well below the hot-rolling temperature. Brass Galvanized Sheets & Plates are prepared by methods like hot-dip galvanizing and diffusion galvanization and are used in construction, transport, agriculture, power transmission, etc. They have the advantage of providing good protection from corrosion, abrasion resistance, and long life of the sheets and plates. 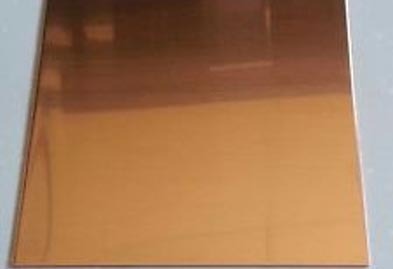 Brass Polished Sheets & Plates are specifically famous because of their smooth, scratch-free, and mirror-like finish. They are used in screw machine parts, decorative hardware, etc. Brass Perforated Sheets can be easily produced by perforating it in rows thus making it ideal for both functional and aesthetic purposes like building facades, private screening, shading, controlling sound, etc. Brass Chequered Plates have the advantage of rust-resistant, tough construction, lightweight, and much more. These are used in power plants, edible food industries, aluminum industries, etc. Since many years, we are dealing in all sorts of brass sheets and plates products with a different range of sizes, wall thickness and dimensions to cater all needs of industries at most competitive prices. Kindly contact us today to request a free quote! Jaydeep Steels stocks a wide range of materials and grades. 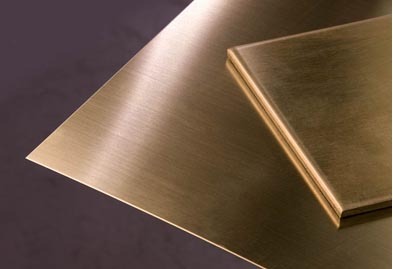 Below are a list of all standard brass sheets and plates materials and grades we stock. Our experienced team of metal experts will get you the metal you need when you need it. Call us today for your Brass Sheet & Plate Needs!